Even after their bath in sodium percarbonate, the ball valves still had a rather nasty chemical/grease/manufacturing smell to them. Since I didn't want this in my beer, I pulled them apart and gave them a good internal clean and removed all the industrial-type grease that was packed around the ball and seals. When reassembling them I used a very small amount of food-grade keg-lube, but since they will not be turned on or off very often, it was probably not necessary. Ball valves are probably the most common type of tap or valve used in home-brewery situations. The main reason for this is that they can be disassembled and cleaned inside and out. Ball valves generally come in three types, 1, 2 and 3-piece, 1-piece valves are not often used since they cannot be disassembled, so the choice is really between 2 and 3-piece valves. Both 2 and 3-piece valves can taken apart to completely clean them inside, obviously the 3-piece valves have more pieces and are slightly easier to clean when pulled-apart, however the 2-piece valves are just as easy to disassemble and with a rag or brush very easy to fully clean inside. 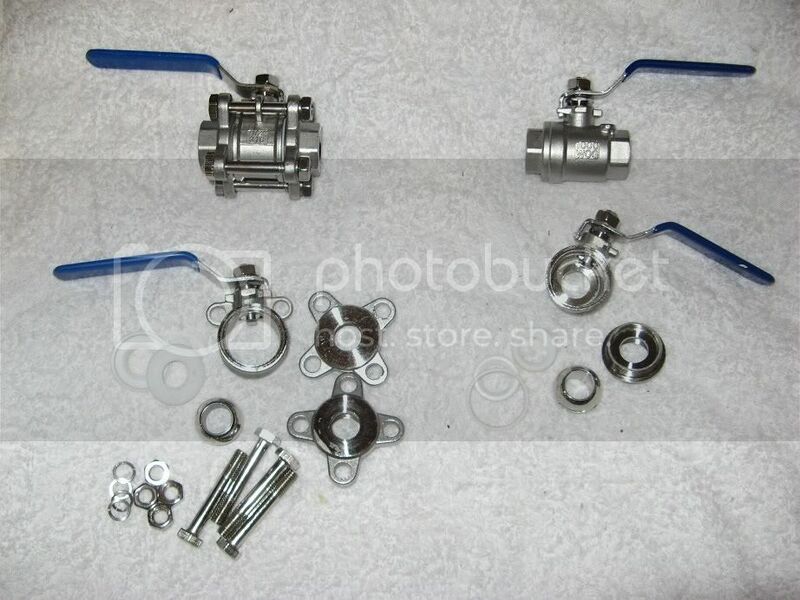 3-piece ball valves are disassembled by undoing the 4 body-bolts, and while this allows the valve to be taken apart while one end is still attached to the fitting - allowing for it to be cleaned in situ - I can't imagine how this is of much benefit to a normal home-brewery situation. When reassembled two Teflon seals hold/seal the ball in place as well as providing a leak-proof seal between the three pieces of the valve. 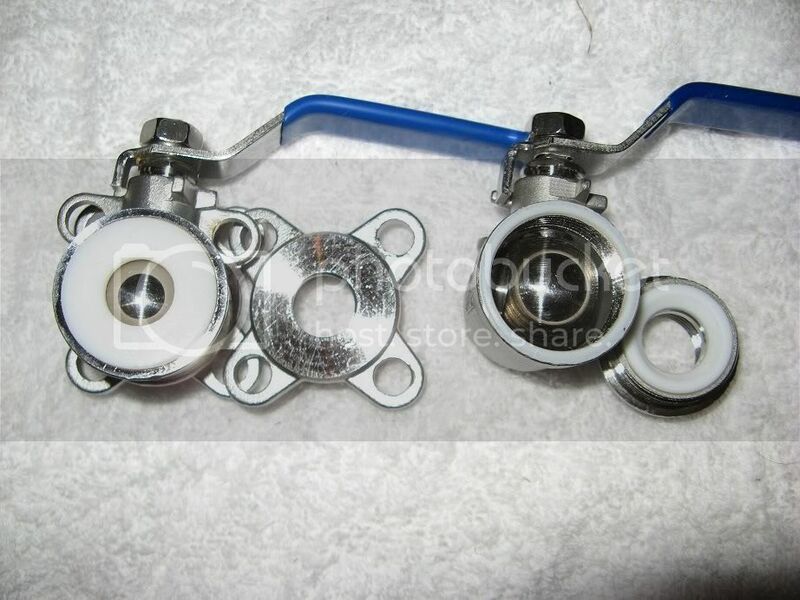 2-piece valves are disassembled by unscrewing the two body parts, so as well as the two Teflon ball-seals, 2-piece valves have an additional smaller (and somewhat insubstantial and apparently easier to mangle) Teflon seal between the two body pieces. Both 2 and 3-piece valves can easily be disassembled for full cleaning, and while the seals in the 3-piece valves do appear more substantial, 3-piece valves are also about 30% to 50% more expensive than similar 2-piece valves.